Homedesign.com.sg: Can I Record Audio With My CCTV System? Can I Record Audio With My CCTV System? 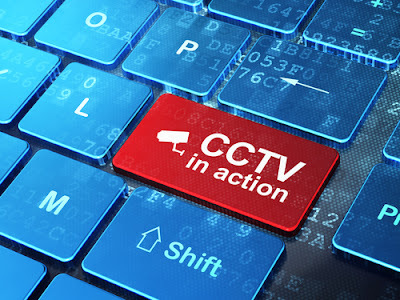 Owning a CCTV in your home can be a great way to help increase the safety within your home. The chance to stay safe and get a quick glimpse at what is going on throughout your home can be extremely beneficial for you in the long run. Your CCTV can be one of the best things you could use to help make sure you are safe. Whenever anything happens in your home, you can be sure it will all be captured. Your front porch and backyard are all important parts of the home to keep a good eye over. It pays off in the end to have this additional security protection. The way they work is very simple. There is a set of cameras that are strategically placed throughout the home. It does not need to record everything inside the house, rather it is best to use the cameras to record everything going on outside the home. The best places to out them are ultimately the driveway, your front door, nearby the windows of any room, and obviously the backyard area. Any location where people can jump in to the house is a worthwhile place to use a CCTV security camera. It is most important to have a specific set of places to out the cameras to ensure that they are as safe as you can make it. The cameras will actually be connected to a device, whether it be a specific initiator or your computer to gain access to the video cameras. 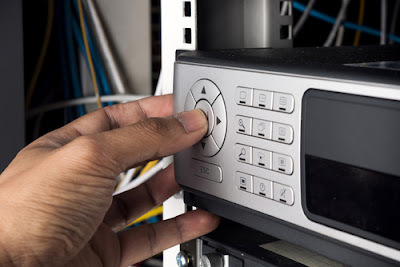 Oftentimes, these can be playing on a monitor all day long in a security room in the house, but you could also just record everything and access video content later on in the day or when something happens. This all refers to the company you are working with. There are additional requirements needed to be met in order for a CCTV camcorder to have all the right features to record video. It isn't an additional quick feature to add on depending on the company you hire. It's best to ask the company you hire to see what kind of services they offer and the kinds of things they provide. They should be able to let you know right away if you can have any sound added to your camcorder recordings. If you feel like you would need strong audio recordings, there are many ways to help enhance your CCTV. There are several different recording equipment that can be added. Although it may add in a bit of space into the equipment, you'll find that the best part is that it really can capture the sound needed. It may take up a little more space, so you may need a couple more feet or just a few inches of space to provide ample enough space for the sound equipment. Your company should be capable of helping you out a whole lot on knowing what to do and where to go. If you want to get only the best company to install these cameras for you, it is best to really consider looking at their testimonials and current reviews to get a good feel for what they can do for you. They should be capable of providing you with quality services. You should ask them personally with an email or phone call to get a feel for what they have to offer you. The key it finding the right company is to also look at the kinds of services they offer and if they can handle the requests you would like to have. For example, if you'd like to have audio being recorded alongside the video, make sure you ask the company you hire to ensure they can rookie this request. You can he'll protect your family. You can easily catch your kids in case they decide to sneak out. You'll be able to watch over them a whole lot better when you decide to have these cameras. Anybody who tries to enter through any of the bedroom windows is a great thing since you can watch it all in real time and stop anybody from sneaking in to your home. You also don't want to have your kids friends over unless you have security cameras watching their moves. For example, keeping a camera in the living room every once in awhile to use is worthwhile. However, be sure to let your kids know about it. It is not right to hide cameras in your family's bedrooms or living rooms without anybody's permission. Using these cameras during parties is a worthwhile investment to help make sure you know what is happening throughout the day. You'll find that people who try to rob you and even burglarize your home are good at escaping. They may take your most valuable items and really make you lose all of your money, and most of them can easily run away without being spotted. Keep the cameras on all throughout the day and you'll be able to capture every person who tries to go into your home. Any burglars or robbers can be easily spotted with video. You'll get an even clearer picture when you turn in the video to authorities. Finding suspects has never so easy when you utilize the power of these CCTV cameras. While it does require an investment, it is very worth the investment in the long run. 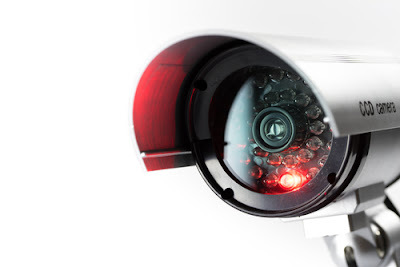 CCTV cameras are highly worth investing your money into. The opportunities involved, the chance to stay safe, and the ability to know what is going on in your home can pay off a whole lot in the end. These cameras are a worthwhile investment that isn't all too expensive when you realize you can catch any wrong doing done to your home in an instant. It's really easy to get this done for your home. It can be done today.